The Paladar is a Cuban invention. Some how some where, some one said, in order to make a few bucks and help feed the growing tourist industry, if you have a home, you can put a few tables in your front yard, or on your porch or roof – cook and charge for it. Even though the Cuban government put a limit to the amount of seats, today you see Paladars with as little as 10 seats to as many as 100. 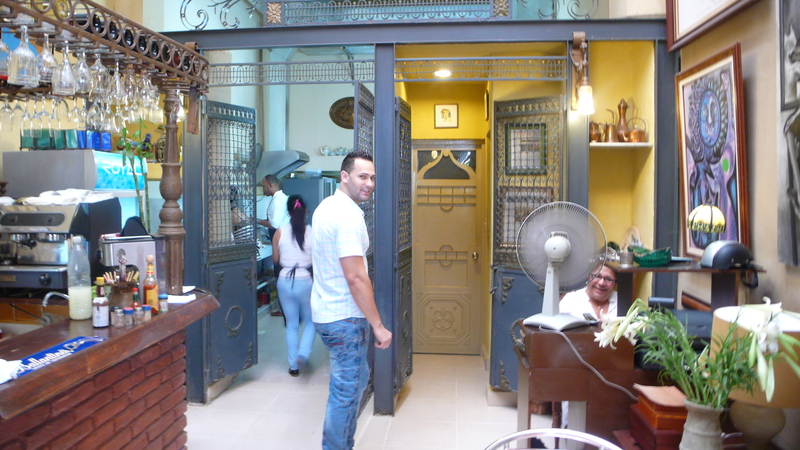 When we walked into Paladar Dona Eutimia we were immediately embraced by the decor. It is like being in someone’s living room/dining room. Our large table of guests were nestled into a corner with a large dining room table and all seemed just right. I was thirsty for a local beer which in Cuba would be a Cerveza Crystal – in my opinion DELICIOUS! 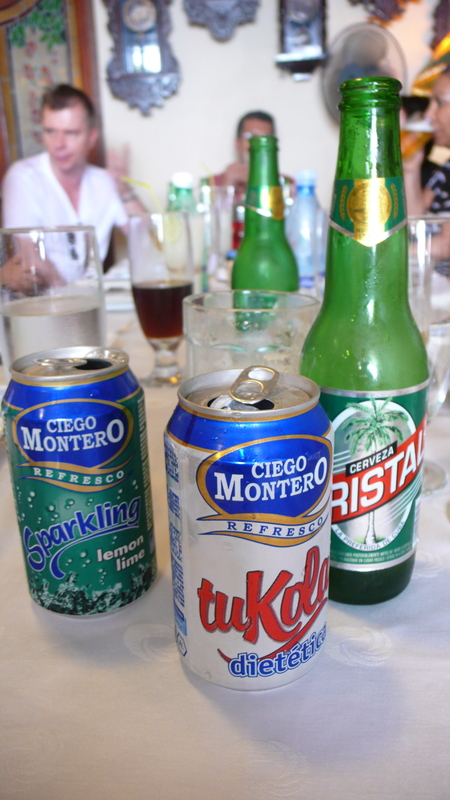 What is funny about Cuba is that they also have their own “cola’s” and their own bottled water. Cuba is self sufficient in so many ways and so dependent in others. I took a walk around the restaurant and was happy to see a woman at the cash register. This is the Dona in Eutimia and the small kitchen in the back held mostly men. The servers were men as well. I liked that a woman was in power here. Her Palader was beautiful. The food was delightful! The atmosphere perfection. 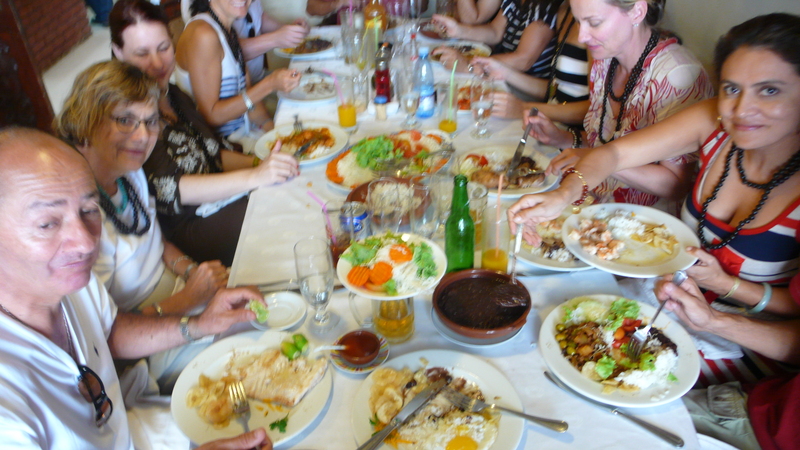 The company of our group was warming and actually this meal was the first meal I really sat down to have in Cuba. Beans, Rice, Salad, Fish, Plantains! Fresh Bread, Garbonzo Beans, Croquetas! The works. The service in Cuba is SLOW but like I said, patience is a way of life here and in the end patience will give you pleasure. 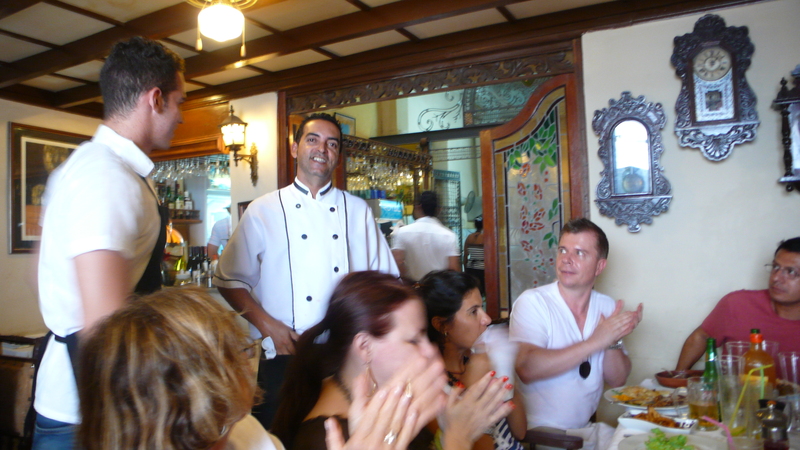 I was so excited about the meal that I asked Dona to get the chef to come out so that we could applaud him. He came out somber and humble and as we Cheered he smiled!!!!!! We thanked him for this beautiful meal and he was happy! I wondered how many times people have actually done that. Selfishly I figure, NO ONE. I drank 2 COLD beers, which smoothed the edge of the hangover from the night before and somehow gave me energy for what was ahead. We walked the streets, grabbed a coffee and talked politics. 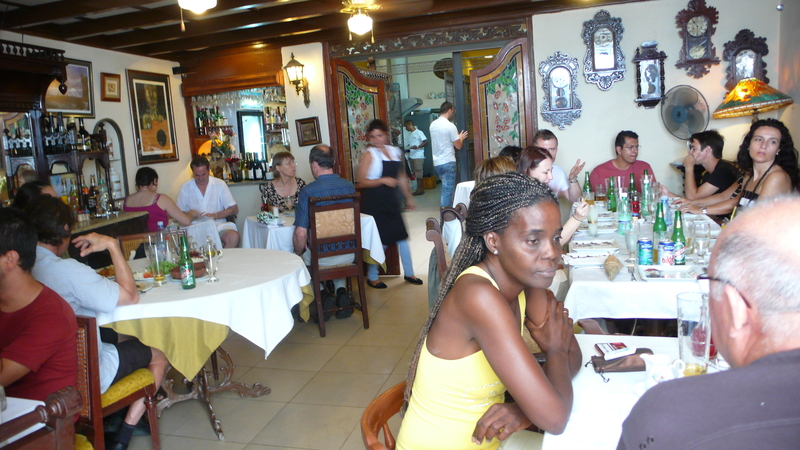 What else would one do in the city of Havana. Politics is a major subject. You could argue that Cuba is a failed state – you can also argue that other countries are failed states but with no educational system or health care. You can argue that if you are going to be poor, maybe CUBA is the place to be. You can also argue that even if you are poor in a country with open borders, there is the very idea that you could with hard work, GET OUT. In Cuba, unless you are a good swimmer – you don’t.